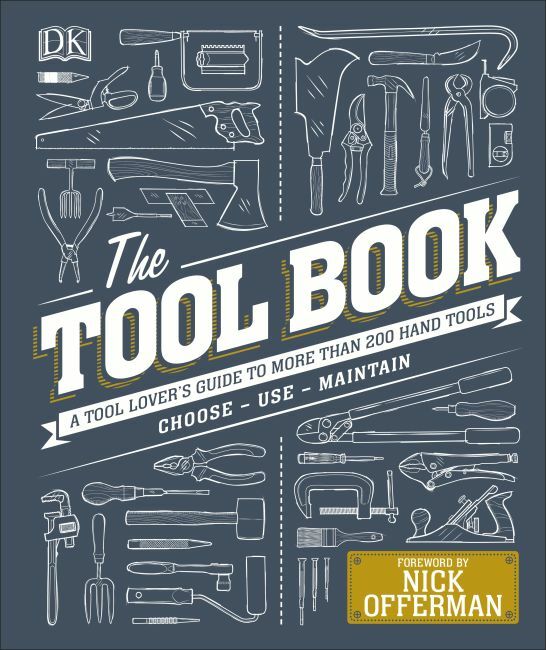 "The Tool Book is a thing of beauty and erudition on those useful implements that help the DIY world go round"
With foreword by Nick Offerman, host of the new show Making It on NBC. Salute generations of craftsmanship, ingenuity, and know-how with The Tool Book. Explore tools from every angle, with detailed patent drawings, exploded diagrams, and step-by-step illustrations of tools in action with the science behind the techniques. Gallery pages display different types of hammers, spades, or chisels, while expert advice tells you what to look for when choosing a tool, and how to use it and care for it best. Discover why each tool is perfect for the job, and why it deserves a prominent spot in your shed, workshop, studio, or makerspace. The perfect gift for craftsmen, makers and anyone with an interest in DIY.